The death occurred on Wednesday, August 1 of Bridie Cunningham (nee Daly), Barrack Street, Granard, Longford, died at Mullingar Regional Hospital. Sadly missed by her husband Paddy, sons Christopher, Jamie, and Adam, her sister Margaret, and brother Gene, nephews, nieces, relatives, friends and neighbours. May she Rest in Peace. 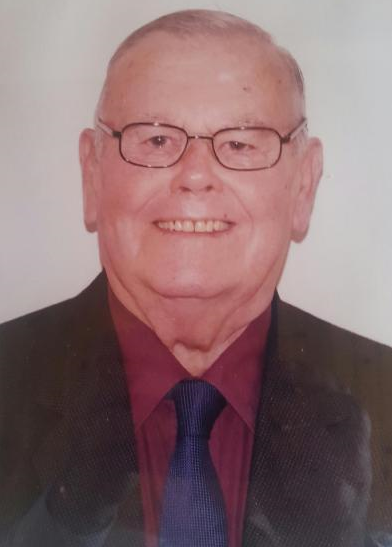 The death occurred, peacefully, surrounded by his family, in St James's Hospital, Dublin, after a short illness, on Wednesday, August 1 of Patrick ‘Patsy’ McDowell, 19 Canal Court, Longford Town, Longford, formerly Listrahee, Ballinalee, Co Longford.Predeceased by his wife Mary. Patrick will be forever missed by his daughters Helen and Bridgie, son John and Bernie (Aughaboy, Killoe), granddaughter Louise and partner Eddie, great-grandchildren Fia and Eddie Og, grandsons Andrew and his partner Alice, Patrick and his partner Emma, great-grandsons Kyle and Aidan, cousins, relatives, neighbours and friends. Deep are the memories, Precious they stay, No passing of time, Can take them away. May he rest in peace. Reposing in Connell's Funeral Home, Battery Rd, Longford, on Friday, August 3 from 7pm until 9pm. Funeral Mass on Saturday, August 4 at 11am in The Holy Trinity Church, Ballinalee, followed with burial in St Emer's Cemetery. Please note - parking for Connell's Funeral Home is now in Connolly Barracks, please follow signs. The death occurred on Tuesday, July 31 of James Dowler, Bawn, Moydow, Longford, former employee of Longford County Council, peacefully in Mullingar General Hospital surrounded by his loving family. James will be dearly missed by his wife Sarah, sons JJ, Peter, Padraig, Sean, Tony, Martin, Brendan, David, Aiden and Gerry, daughter Mary Dervan, sisters Margaret Byrne (Dublin), and Mary McDonagh (Dublin), brothers Bernard (Ballycloghan), Michael (England), grandchildren and great-grandchildren, daughters-in-law, son-in-law, sister-in-law Patricia, brothers-in-law, nieces, nephews, cousins, relatives, neighbours and his many friends. In life we loved you dearly, In death we love you still, In our hearts you hold a place, That no one can ever fill. Rest in Peace. Funeral Mass on Friday, August 3 at 12 noon in St Mary's Church, Moydow, followed by burial in Carrickedmond Cemetery. Family flowers only please. House strictly private please at all times. The death occurred on Thursday, August 2 of Kathleen Keaney (nee Benison Gildea), Miskawn, Aughnasheelin, Ballinamore, Leitrim, peacefully at Sligo University Hospital. Predeceased by her husband, Patrick ‘Sonny’, brothers Francie, Pete and Sean. Deeply regretted by her daughter Maureen, sons Michéal and Carl ‘Charlie’ Longford, sisters Bridget Jordan, Ballyfarnon and Maureen O'Rourke, Longford, sister-in-law, nieces, nephews, neighbours, relatives and friends. Rest in Peace. Reposing at Shivnans Funeral Home, Ballyfarnon on Friday, August 3 from 4pm to 6pm, followed by removal to St Mary's Church, Aughnasheelin, arriving at 7pm. Mass of Christian Burial on Saturday, August 4 at 2pm. Burial afterwards in the adjoining Cemetery. House Private Please. The death occurred on Thursday, August 2 of Owen ‘Ownie’ Mitchell, Guerteenoran, Cloone, Co Leitrim, suddenly at his home. Predeceased by his sisters; Kathleen and Nancy (UK), Bridie (Ballinamore) and his brother Sean (Cloone). Deeply regretted and sadly missed by his nieces, nephews, cousins, relatives, neighbours and a large circle of friends. May he Rest In Peace. Remains reposing at St Patrick’s Hospital Mortuary, Carrick-on-Shannon on Friday evening, August 3 from 5:30pm - 7pm followed by removal to St Mary’s Church, Cloone arriving at 8pm. Funeral Mass on Saturday, August 4 at 11am followed by burial afterwards in the local cemetery. 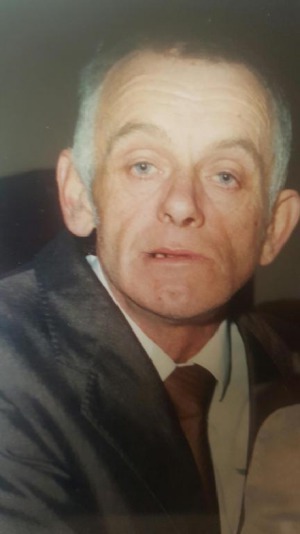 The death occurred on Tuesday, July 31 of Séan ‘Jackie’ Nolan, Ard na Greine, Clonageeragh, Castlepollard, Westmeath, died peacefully at his home surrounded by his loving family. Predeceased by his father and mother, brothers Michael and Feichin. Survived by his loving wife Anna, his four children, sixteen grandchildren, two great grandchildren, sons in-law, daughters in-law, brothers, sister, nieces, nephews, extended family and a wide circle of friends. May He Rest In Peace. Removal to St Feichin's Church, Fore on Friday, August 3 for 11am Funeral Mass and afterwards to adjoining cemetery. House strictly private on Friday morning. Family flowers only. Donations to St Feichin's National School, Fore. Nì bheith a leithèid arìs ann. The family would like to thank all the nursing staff for their continuous support and care throughout Séan's illness and especially to the Palliative Care Team.